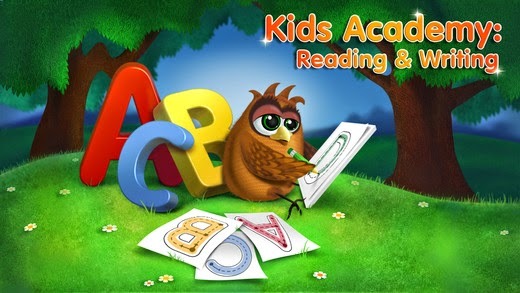 Designed for both iphone and ipad, this app from Kids Academy is geared for kindergarten students. This app is a bit more interactive than the ones that are geared for preschoolers. The free version doesn't let you get as far in the games as you would like, but I think that it would be worth it to buy the advanced pass. The graphics are splendid and very interactive for the kids. I used this on my iphone and we didn't have any trouble with seeing the different activities that we wanted to do. 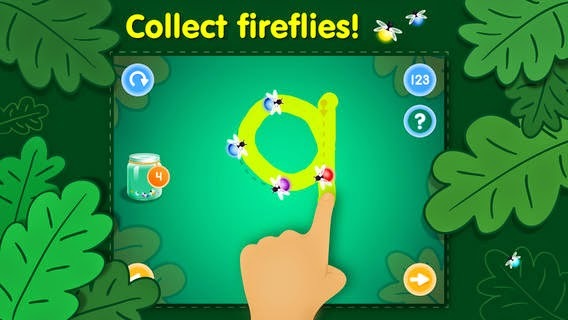 With this app you can trace the numbers with your finger and collect fireflies for the jar. With the free version you can get through the number 3. I really liked the alphabet portion of this game. The colors are so bright and fun. It shows each letter of the alphabet, both upper and lower case along with a picture of something that goes along with that letter. The free version again doesn't let you get as far as you would like. I think this game would be worth it to buy the complete version. I think it is very interactive for the young preschoolers. This app is geared for preschool to kindergarten age children. They learn to trace the numbers and each time they get it right they collect fireflies to put in the jar. I tried the game myself just to see how exact you had to be to get credit. We know preschoolers don't always have the steadiest hand, especially on a small iphone screen. It wasn't necessary to be perfect at all, just somewhat accurate. I thought the error factor was quite on track for this age group. The graphics are bright and colorful. The sounds and lights are very engaging. 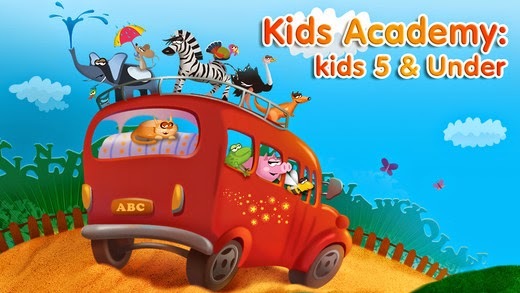 They have some great learning apps for kids. This looks like so much fun! I will for sure download this when my son gets a little older.